They said overwhelmed, without a real statistical significance or economic value. Yet the figures published quarterly by the Pôle Emploi continues to exert its fascination on policy and observers. Problem, they are, as in the previous quarter, contrasting. And hard to interpret. 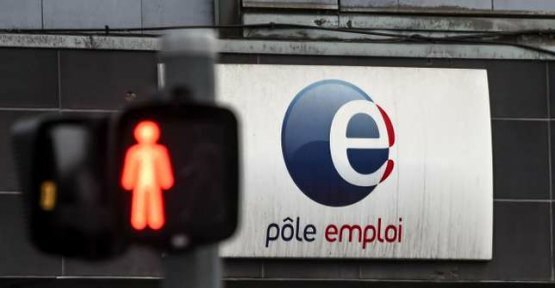 According to the note published by the Pôle Emploi and the ministry of labour Thursday 25 October, the number of job seekers in category A (without work and obliged to look for one) rose 0.5 % in the third quarter in metropolitan France. 16 additional 300 people are thus come, in this period, swelling the ranks of the unemployed registered at the public body. All in all, therefore, are 2.45 million people who are in search of a job today in france, excluding overseas. Paradoxically, once these territories, yet in the overall situation more critical, which is included in the account, the increase is less significant : a 0.4 %. Reporting on a year, the situation is still better : the number of jobseekers in class A has in effect a 1.2% decrease. An evolution that is largely made for the benefit of men. In their ranks, the decline was 2.2% compared to 0.2 % for women. Those who pay the heaviest price are, not surprisingly, the long-term unemployed. looking for a job for at least a year or more, their employability decreases with the time making their hiring less and less easy. In the third quarter, their number has thus increased by 1.1 %. Worst in a year, it surged 6.4 %. Considered in their totality, these figures are not very encouraging. But look more closely at the situation of the French market of employment seems to be more complicated than that. Because, to be published Wednesday, 24, the statistics of the Acoss, central agency of social security bodies, they swear with this table. Indeed, it is rather a hexagon in a much better condition than they describe us. According to this institution, the number of hires, as well as CDI as a fixed-term contract of more than a month, have bounced back in the third quarter : +2.7 per cent. They have thus reached a new historical record. All in all, these are 2.14 million declarations of hires (for contracts of more than one month) which have been reported to the Acoss between July and September. Best, IDUS now account for almost half of the new hires of a month or more. Alone, they increased by 10 %.